Over the past decade, Tasmania has become a tourist destination for more than just home-grown Australian tourists. Thanks to the world class pure, natural beauty of its World Heritage Wilderness area, its significant historical sites, the exciting cultural attractions such as Mona (Museum of Old and New Art) and the incredible produce, including wine, that comes from Australia’s island state. This year, Tasmanian tourism announced that an incredible 23% of all visitors to the state, visited a cellar door. It is logical then that the world is waking up to the wonders of Tasmanian wine, particularly with the slew of accolades the wines are accruing including the The House of Arras winning Best Australian Producer at the 2017 International Wine and Spirit Competition and Mewstone Wines being awarded James Halliday’s Best New Winery of 2019 . You also realise that Tasmania is reaching into the mainstream when your local Aldi in the UK has Tasmanian wines on their Artisan range. Tasmania has long been known for its sparkling wines, with Champagne producer Louis Roederer’s interest in the 80’s adding their weight behind the burgeoning category when it started the Jansz label with the owners of Heemskerk at the time. The cool, maritime climate, it is after all an island with nothing between it and the Antarctic, is ideal for growing both chardonnay and pinot noir for this purpose and some of Australia’s best fizz producers come from Tasmania. House of Arras, Clover Hill, Jansz which is now part of the Hill-Smith fold, another Tasmanian sparkling pioneer, Andrew Pirie’s Apogee are some of the best known but there are many smaller produces that are making exceptional quality fizz. The majority of Tasmanian sparkling is made using the traditional method and the typical blend of grapes (chardonnay, pinot noir and pinot meunier). It does have a climate with similarities to Champagne after all and grapes naturally retain the high acid that producers fine sparkling. Of the 2018 vintage, of which Tasmania produced just 0.9% of Australia’s total wine grape harvest, 27% of the harvest was destined for producing bubbles, this figure included 68% of the state’s Chardonnay and 31% of its Pinot Noir (winetasmania.com.au). However, finely honed, lean sparkling wine, often with a mineral edge, is not all that Tasmania has to offer, although, it perhaps will be what will get wine glasses proffered for tasting the other delicacies offered. 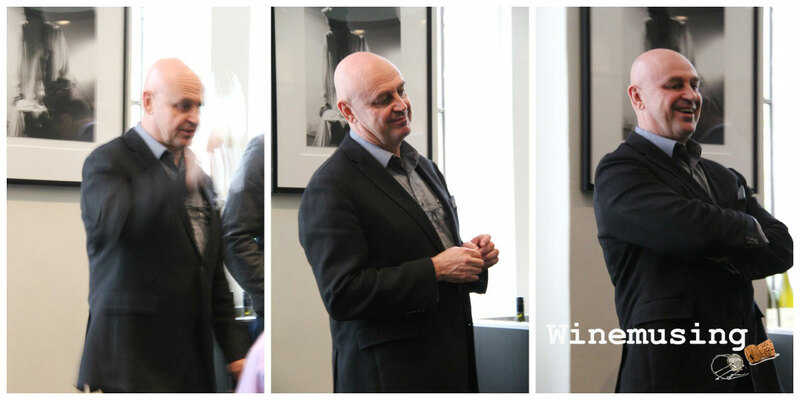 Michael Hill-Smith MW is one of the co-owners of the Tasmanian vineyard Tolpuddle and Shaw + Smith located in the Adelaide Hills. Perhaps the most notable sign of what was to come, was when mainland producers such as Michael Hill-Smith MW and Martin Shaw purchased the Tolpuddle vineyard in 2011. This followed Brown Brothers earlier purchase of Tamar Ridge and Robert Hill-Smith’s acquisition of not only Jansz in 1997, Dalrymple ten years later, but also the original Frogmore Creek vineyards (but not the brand) such was the confidence that the wines of Tasmania were truly something special. In the 1980’s Tasmania had just under 50 hectares under vine, at last report, there are now over 1,700 hectares planted and more are being planted every year. By far the most common variety planted is pinot noir, with the grape comprising 46% of 2018 vintage. 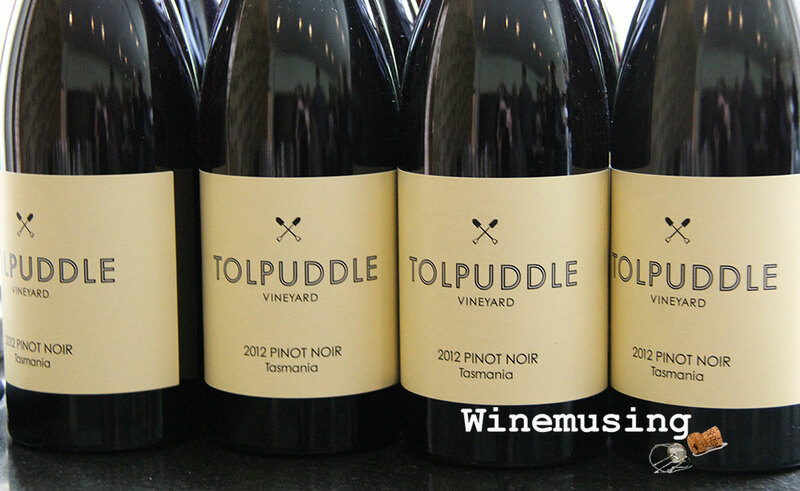 The pinot from Tasmania generally falls into the lighter to medium body category with an abundance of cherry berry fruit imbued with a lifted fragrance. The next most common grape is its sparkling partner, chardonnay, which takes on a distinct citrus often grapefruit, and stonefruit nature, followed by Sauvignon blanc (10.4%), spicy, floral Pinot gris (7.5%) and then Riesling (5.9%), which also has a bright future on the island. Even amongst Tasmania’s white wines there are some noticeable style setters such as Domaine A’s Lady A Sauvignon Blanc, Grey Sands’ Pinot Gris and Tolpuddle Chardonnay to name but a few. However, apart from pinot, other red wine grapes barely get a look in with less than 2% each of cabernet sauvignon and pinot meunier with the latter mostly being blended for fizz (winetasmania.com.au). Peter Althaus’ Domaine A Cabernet Sauvignon (released as an aged wine and contains a small addition of other Bordeaux varieties) offers a unique perspective of just how exciting Tasmanian Cabernet can be. Shiraz also has a bright future with the potential of Tasmanian Shiraz being showcased when Glaetzer-Dixon Shiraz was awarded the prestigious Jimmy Watson trophy in 2011, a trophy awarded to Australia’s best one or two year old dry red wine. Indeed, Mewstone Wines’ vineyard at Flowerpot on the D’Entrecasteaux Channel has one of the most southerly plantings of shiraz in Australia. Mewstone Wines Pinot Noir 2017: There is a delicious perfumed intensity to this wine and fresh vibrancy to the berry fruit. It is certainly not a wine to rush but one to savour. Recently, I got to taste two of Tasmania’s next generation winemaker’s Pinot Noir, Mewstone Wines 2017 Pinot Noir and Small Island Wines 2016 Single Vineyard North Pinot Noir and I am confident that the future is in safe hands for Tasmanian wine. 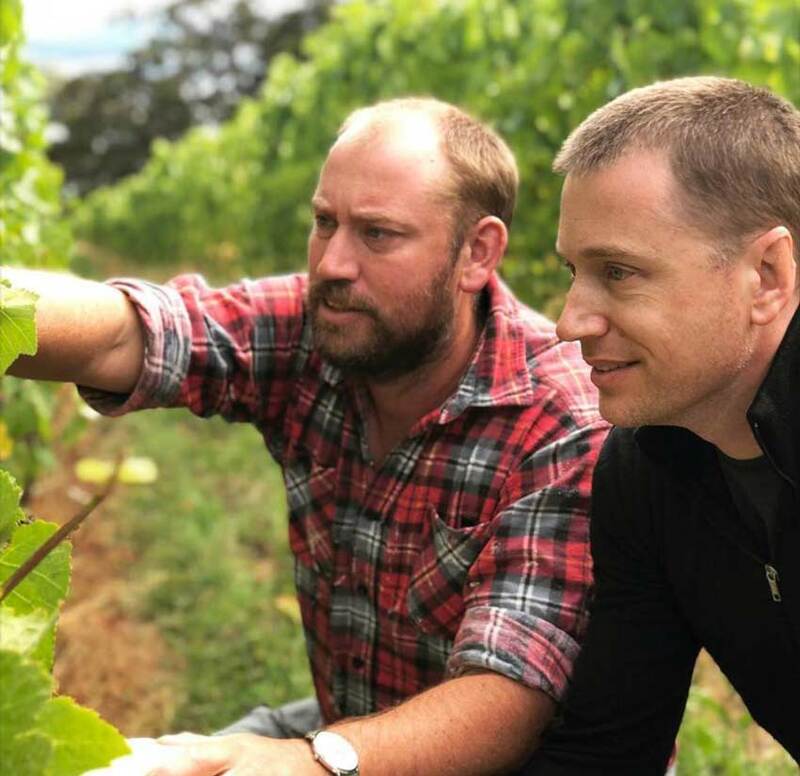 As more and more Tasmanian wines become available internationally, the industry is very conscious that the hard earned reputation is maintained and that the market is not flooded, inadvertently beginning the cycle of dropping prices and quality. Lessons have been learned from expansions of regions such as Marlborough in the mid 2000’s. So, there is no better time to begin your own Tasmanian exploration. It is an island where the future is not just sparkling, it is very exciting indeed. 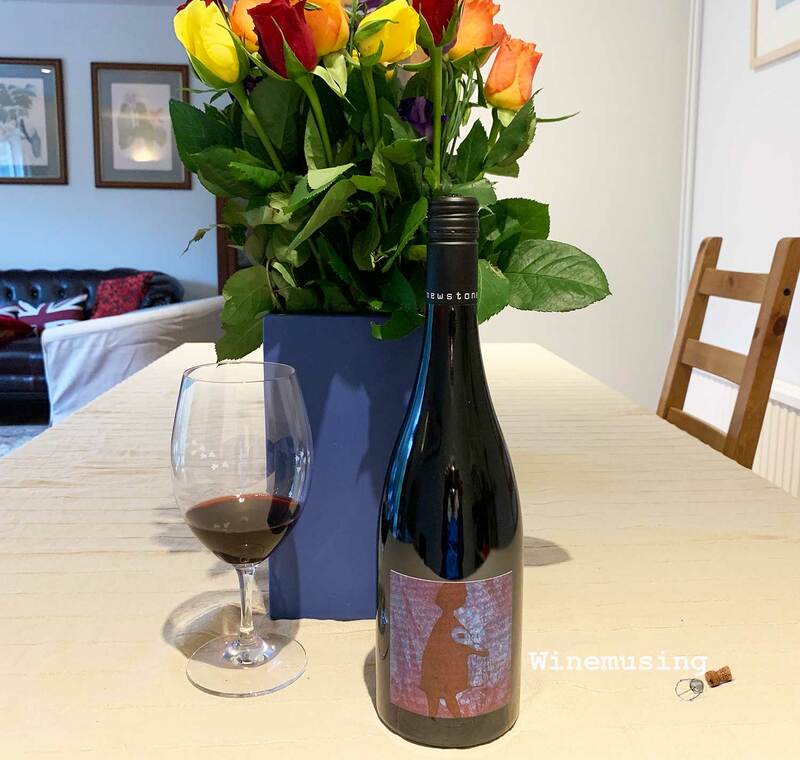 To read the recent interview with Jonny Hughes of Mewstone Wines, click here and click here for a review of Mewstone Wines Pinot Noir. And to read the recent interview with James Broinowski of Small Island Wines, click here and click here for a review of Small Island North Pinot Noir. For an idea of where to continue with a Tasmanian exploration of your own, here are some more suggestions of some other classic Tasmanian wines. Australian Labour Party Spill simplified!